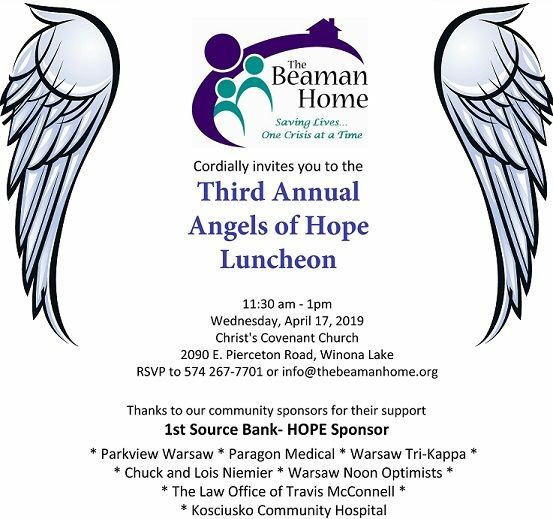 The Angels of Hope Luncheon is The Beaman Home's biggest fundraising event of the year, where we can share about who we serve, what we do, and how we empower survivors. Entry is a 4 pack of toilet paper. RSVPs must be received by April 10. We will be having a raffle. Each raffle ticket is $50 and gives you the chance to win a 4 day trip to the Smoky Mtns or one of 25 other prizes. Beaman Home has partnered with Give Lively to securely process your online donation. This transaction will appear on your credit card statement as "Beaman Home". This transaction is subject to Give Lively's Terms and Privacy.